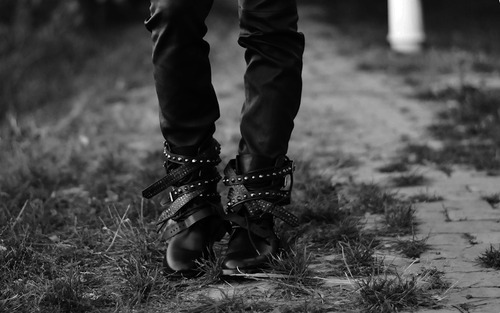 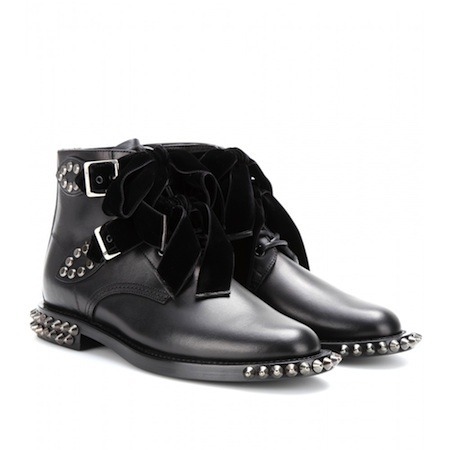 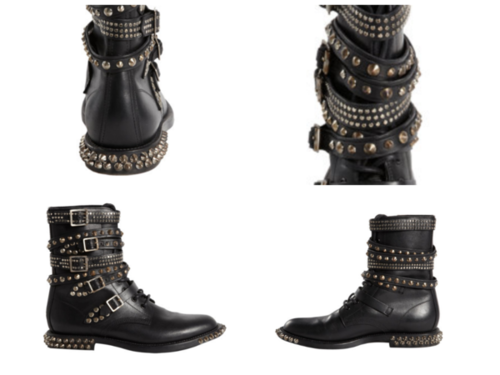 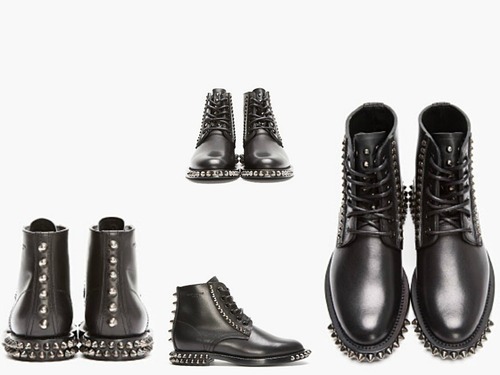 When I first saw this studded Range combat boots and read that they’re Saint Laurent, I had to to double check it because I wasn’t expecting this drastic change of style from Hedi Slimane. 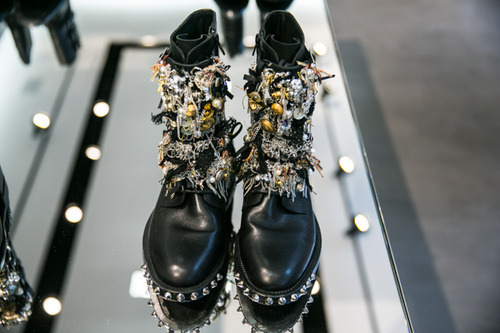 His woman first collection for (Y)SL was very classic and feminine and so were the shoes (e.g. 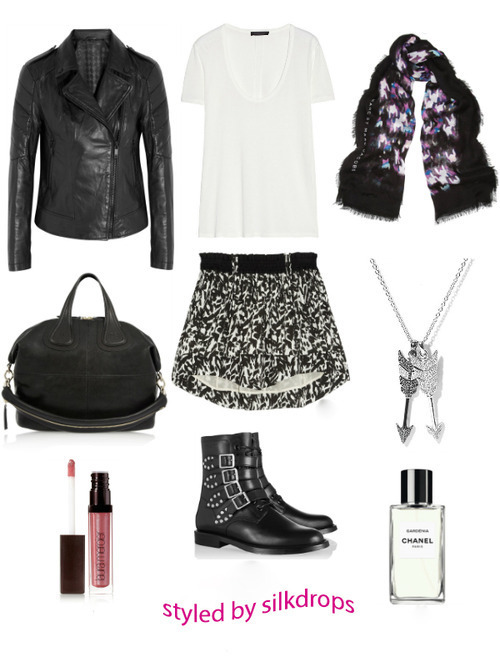 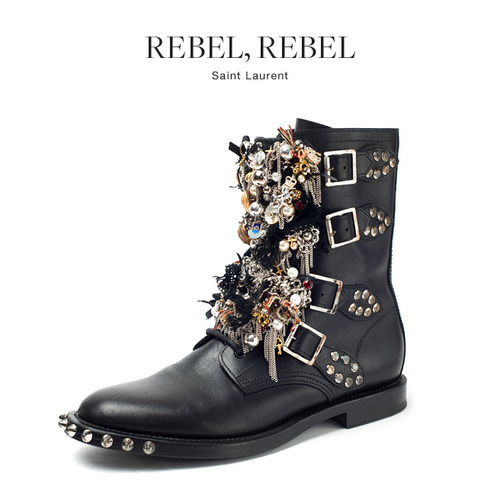 “Jane” high heel and “Paris” anckle boots) that it seemed unlikely to me that Slimane would swing in such a different direction within just one season. 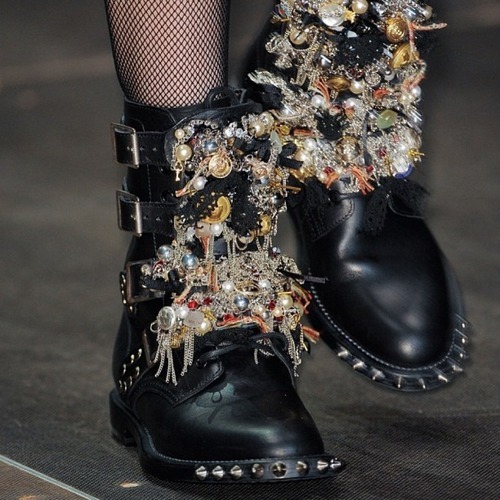 But obviously I was wrong and Slimane’s second collection for Saint Laurent (Fall/Winter 13/14) was screaming grunge nineties all over! 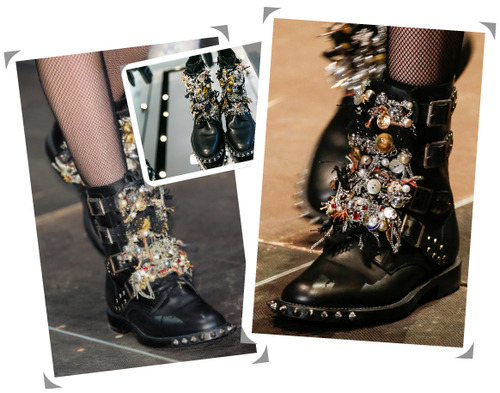 I love his second collection more than the first one and I must admit that this spike-encrusted boots has an amazing appeal taht I can’t put in words!